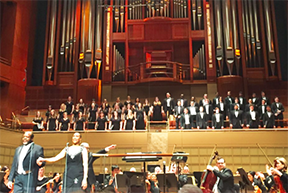 UTA’s A Cappella Choir earned accolades for its weekend performances of Gershwin’s Greatest Hits with the Dallas Symphony Orchestra at the Meyerson Symphony Center. "The collegiate singers dispatched choral duties with polish and pizzazz,” The Dallas Morning News said. A Fort Worth Star-Telegram review said, “A surprising standout was The University of Texas at Arlington A Cappella Choir, directed by Karen Kenaston-French. They were terrific.” Watch the video and see more photos. More than $10,000 in prizes and start-up resources will be provided to student teams that successfully address the intersection of culture, business, and technology in the 2016 Studio CreaTec Challenge. The challenge is a cross-disciplinary team idea pitch competition with the objective of creating University-wide student opportunities through the development, expansion, and implementation of ideas and possibilities. Matt Clark, coordinator of the Entrepreneurship in the Arts program, oversees the project. An information session is noon-2 p.m. Friday, Jan. 29, in the Start-up Lounge, across the street from the Maverick Activities Center. Workshops begin Feb. 2. Finalists will be announced March 25, with presentations April 29. Clark, who has spent the last several years helping UTA student artists lay the foundation for a career after graduation, noted the diversity of talent among the student population as he worked on public art and entrepreneur projects on campus. But he did not see much collaboration across disciplines. For more information, visit the Studio CreaTec Challenge webpage. The new Points of Transition series begins today addressing the how, what, and why of transition and change. The Maverick Transfer Connection, which started in the fall, hosts three speakers who have a connection to social change. Broadcast alumna Nada Atieh opens the series at noon today, Tuesday, Jan. 26, in the lobby of Ransom Hall. Upcoming speakers are Ya’Ke Smith, associate professor of film and video, on Tuesday, March 8, and Scott Ingram, senior lecturer of anthropology, on Tuesday, April 19. How would you like to win free food for the semester? Start by taking three selfies at the College Park District's restaurants through Sunday, Jan. 31. Enjoy great dining at Pie Five, Texadelphia, Coolberry Frozen Yogurt, and Starbucks at the UTA Bookstore. Then post a collage of the photos on social media pages—Facebook, Instagram, and Twitter—using the hashtag #inthedistrict. The Parents and Family Center hosts a Valentine's Day breakfast for the family at 9:30 a.m. Saturday, Feb. 13. Students can bring up to three guests to the event on the second floor of the Maverick Activities Center. RSVP by Friday, Jan. 29. The Women in Leadership program is accepting students for the spring semester. The program offers an opportunity to enhance your leadership skills and network with women who strive to make a positive difference in the community. The program is open to all UTA students. Space is limited, and preference will be given to students entering UTA for the first time in spring. 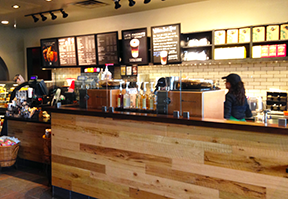 Starbucks in the E.H. Hereford University Center received a makeover for the spring semester. The contemporary design features stained and unstained wood and white subway tiles. The Alternative Spring Break participants will travel March 13-18 to St. Louis, Mo., to focus on social issues affecting the community, such as homelessness, poverty, community development, and disaster relief. Applications are due by Thursday, Jan. 28. Abstracts are now being accepted for the Annual Celebration of Excellence by Students (ACES), a University-wide symposium highlighting the best in student research and creativity. Undergraduate and graduate students work with faculty mentors in their disciplines to write and submit abstracts for the competition. ACES 2016 is Wednesday, March 23, in the E.H. Hereford University Center. Submissions deadline is Friday, Feb. 5. Email questions to aces@uta.edu. Questions? 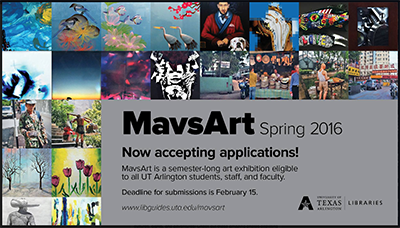 Email janeth.colmenero@uta.edu or visit the MavsArt website. Register for the annual Black Leadership Institute, set for Saturday, Feb. 20. The program is free and open to all UTA students. Register online by 5 p.m. Monday, Feb. 8. The program includes leadership development, networking, a keynote address, and more. Students receive a 10 percent discount on many continuing education courses offered at UTA. Upcoming exam prep courses include GMAT and GRE math and verbal; Professional Engineering Exam Review; and Project Management Professional, SHRM-CP, and SHRM-SCP certification. Register online. For questions, call 817-272-2581. Do you still need housing? Spaces are available in the residence halls to move into immediately. Both undergraduate and graduate students are eligible to live on campus. Space is available at The Heights on Pecan and in all residence halls except Brazos. Read more about housing options. Submit a free application at uta.edu/housing. For questions, call University Housing at 817-272-2791. Stay up-to-date with the latest events and innovations at UTA on our official social media channels. Engage with students, alumni, faculty, staff, and the UTA community on Facebook, Twitter, YouTube, Instagram, LinkedIn, Vine, Pinterest, and Snapchat (utarlington). To see a list of some University-hosted social media pages and groups—including Facebook, Twitter, YouTube, LinkedIn, and Flickr—and to learn more about how your department, program, or campus organization can utilize social networking platforms, see UTA’s social media index and social media guidelines. The Office of Sustainability provides recycle bins for electronic items. Cell phone bins are available at the north entrance to Davis Hall, the entrance to the Maverick Activities Center, and beside Starbucks in the E.H. Hereford University Center. The bins are for cell phones and cell phone batteries, accessories, and charging units. E-waste bins are blue at various locations, and large black ones are at the Chemistry Physics Building, Central Library, and the Wetsel Service Center. Acceptable e-waste items include batteries, ink and toner cartridges, copier fusing units and replacement parts, cameras, cell phones, personal computers, hard drives, monitors, TVs, printers/copiers, wires/cables, microwaves, electronic kitchen appliances, mice, keyboards, extensions, memory sticks/cards/discs, VHS tapes and cassettes, DVD players, and other electronics. Unacceptable items include light bulbs and UTA assets and computers. Read more about recycling and e-waste bin locations. Deadline to apply for spring graduation. To be considered for spring 2016 graduation, the deadline to have your application submitted to the graduation desk is Monday, Feb. 1. See the graduation deadlines. If you drop or withdraw on or before the Census date, Wednesday, Feb. 3, no grade will be recorded on your transcript to reflect the drop. Courses dropped by the Census date also will not be counted toward the six-course drop limit that affects students who entered a Texas public college or university in fall 2007 or later or the excessive hours tuition law that affects students who have more than 45 hours in excess of the hours required for a degree plan. Read more about this state law and its implementation at UTA. Student Center, and click on Request Enrollment Verification to access the National Student Loan Clearinghouse. David Grogan, assistant professor of music, leads a faculty recital that reflects a slightly less-than-sane view of the world. 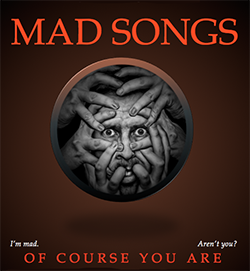 Performers get a little crazy in song and recitations in Mad Songs at 7:30 p.m. Thursday, Jan. 28, in the Irons Recital Hall of the Fine Arts Building. Grogan and Anne Healy, assistant professor of theatre arts, are joined by Charlene Sutton, Laura Warriner Bray, Anne Marie Boeding, Nicholas Garza, and Clinton Bray. 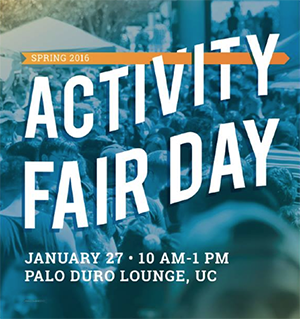 Spring Activity Fair University departments and programs, plus students organizations share info. 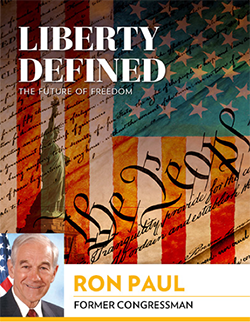 11 a.m.-1 p.m., Palo Duro Lounge, E.H. Hereford University Center. Student Affairs. Resident Assistant Interest Session 7:30 p.m. Arlington Hall classroom. Also noon, Wednesday, Jan. 27, KC Hall classroom; 7:30 p.m. Thursday, Jan. 28, Vandergriff Hall conference room; and 7:30 p.m. Tuesday, Feb. 2, MAC Lounge. University Housing. Points of Transition: Nada Atieh UTA broadcast alumna Nada Atieh discusses topics related to change and the transfer experience. Noon-1 p.m., Ransom Hall lobby. Maverick Transfer Connection. Arlington Technology Association Don Winfree, Lockheed Martin Aeronautics senior fellow, using examples from his 38 years of working with exotic aircraft such as the F-35 fighter, describes the innovative and productive process he designed to find the root cause of complex problems. He recently helped to solve pilot oxygen supply problems in the F-22. Light breakfast provided. RSVP. Free. 7-8 a.m., Room 100, Nedderman Hall. Arlington Technology Association. 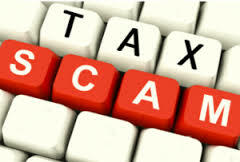 Financial Planning Workshop for Study Abroad Workshop 3 p.m., Guadalupe Room, E.H. Hereford University Center. Study Abroad. Keep it moving: Junior forward Faith Pope, top, takes to the air in Saturday's game against Arkansas-Little Rock. Junior guard Breck Clark encounters a traffic jam of Arkansas State players in last Thursday's game. Sophomore forward Kevin Hervey is out for the rest of the season with a torn left knee he suffered prior to Thursday's game against Arkansas State. The Mavs claimed a 91-64 victory over Arkansas State on Thursday night at College Park Center, but fell 68-62 against Arkansas-Little Rock on Saturday. The men’s basketball team is 14-4 overall and 5-2 in conference. The Mavericks open a two-game road trip Thursday at Louisiana-Monroe before facing Louisiana–Lafayette on Saturday. The First Pitch Fundraiser follows the game. For details on ticket sales for the game or the fundraiser, contact Kris Wood at kriswood@uta.edu at 817-272-9613. Upcoming intramural sports deadlines are 4-on-4 flag football, Wednesday, Jan. 27; billiards tournament, Thursday, Jan. 28; basketball, Wednesday, Feb. 3; and rock climbing, Wednesday, Feb. 9.